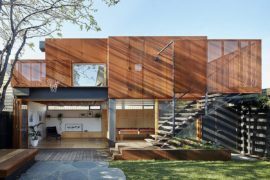 Doing away with the old to usher in the new is all too easy and while it might give you greater number of possibilities when it comes to home design, it also makes the project that much more wasteful and expensive. 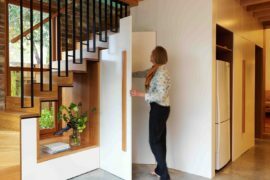 Instead, a smarter approach is to keep the past intact in parts and build on it for a brighter home that is both modern and timeless. 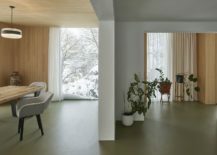 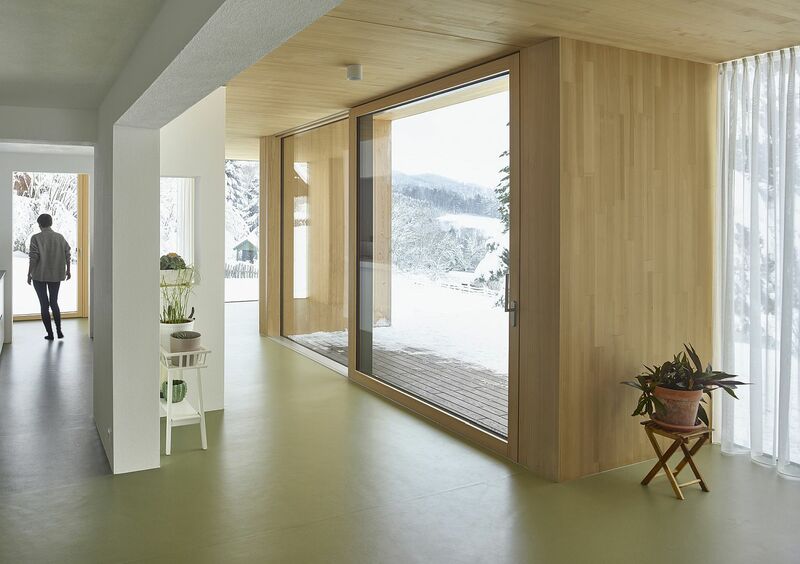 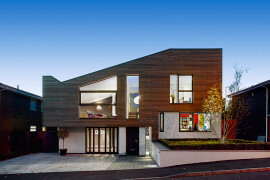 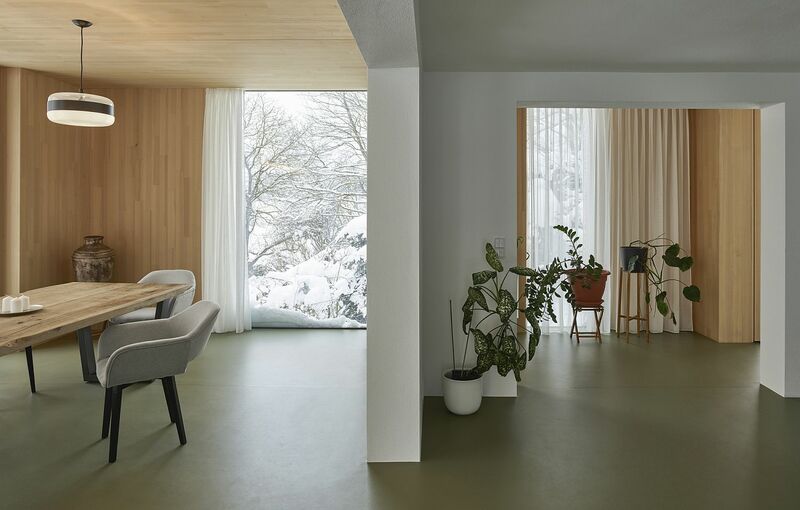 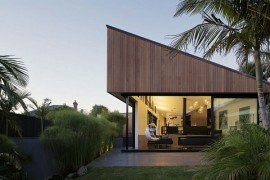 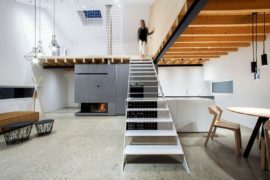 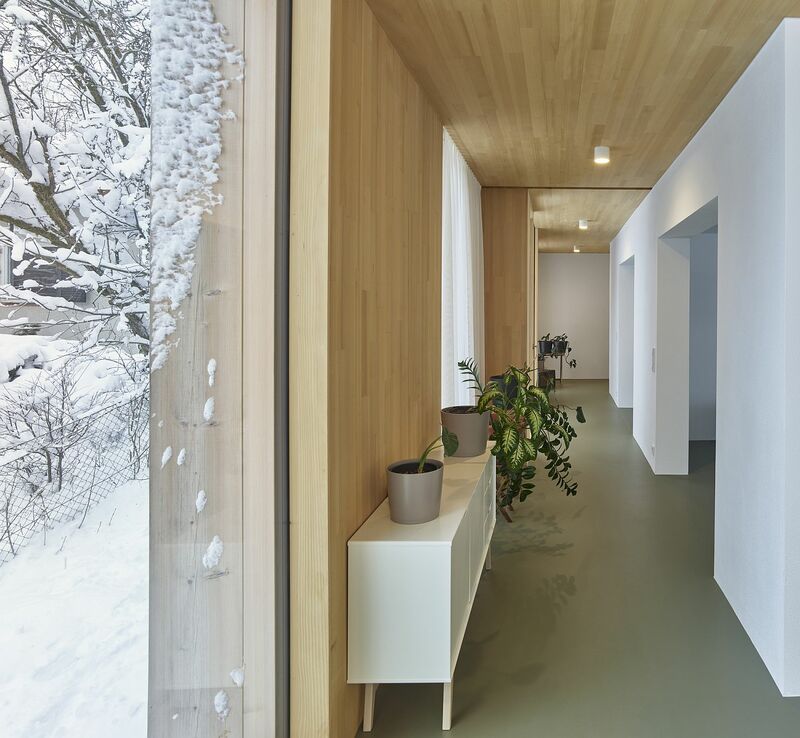 It is exactly this approach that mia2/Architektur take as they completely alter this aging home in Linz, Austria. 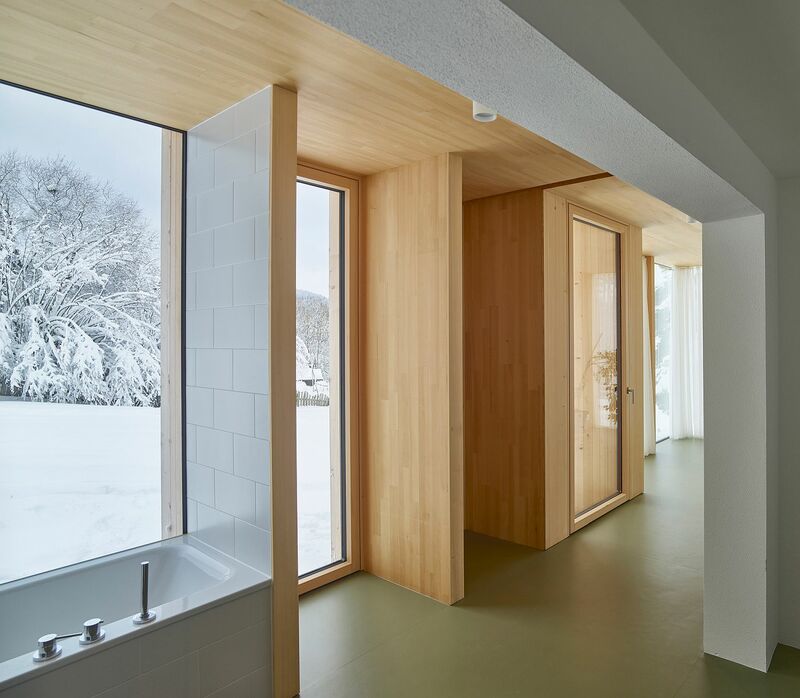 Surrounded by a landscape that is covered in snow for most of the year, the house demanded a setting that felt cozy, cheerful and ushered in ample natural light. 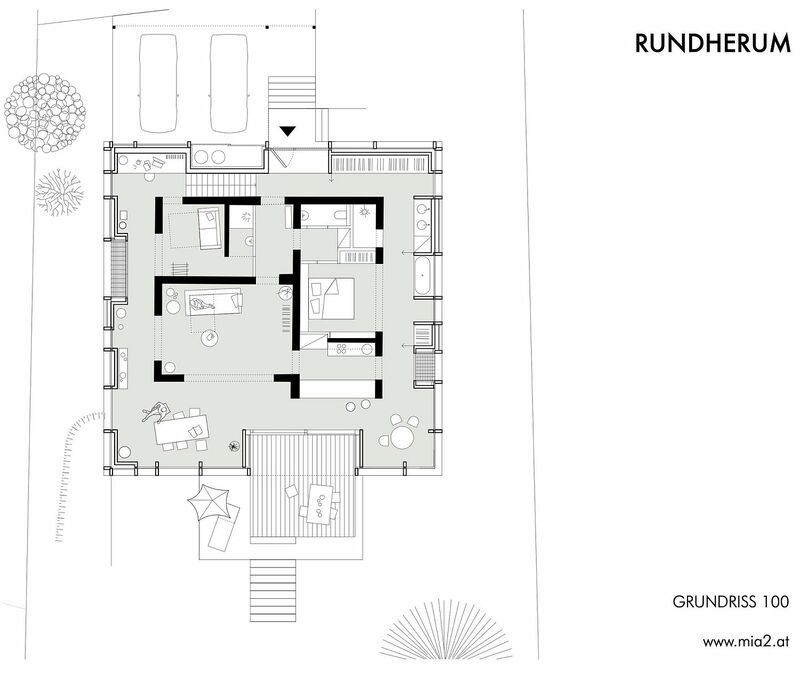 Rundherum overlooks a rugged scenery with hills, fields and woods outside and the extensive use of floor-to-ceiling glass windows and glass doors makes sure that the outdoors becomes a part of the overall narrative at all times. 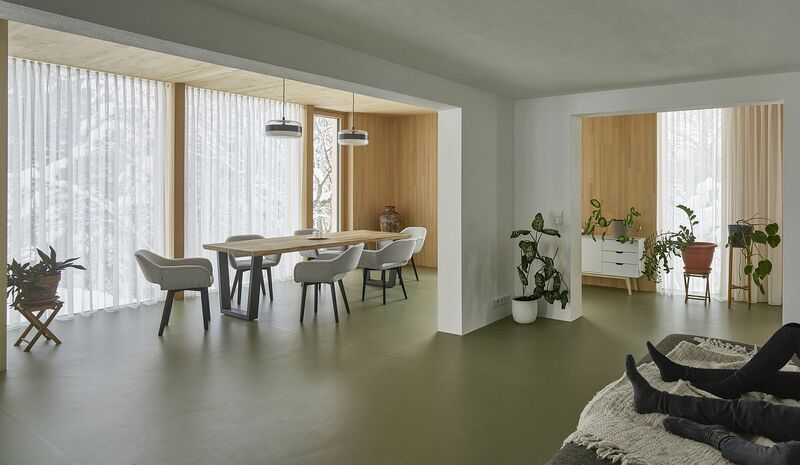 Step in further and you have a modern, breezy space where the open living area does away with unecessary borders and transitional spaces. 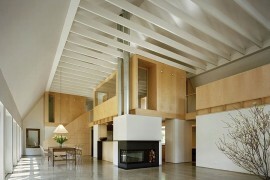 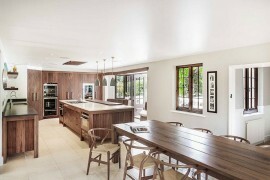 This doubles the overall square footage of the house gives the new interior a spacious and inviting appea. 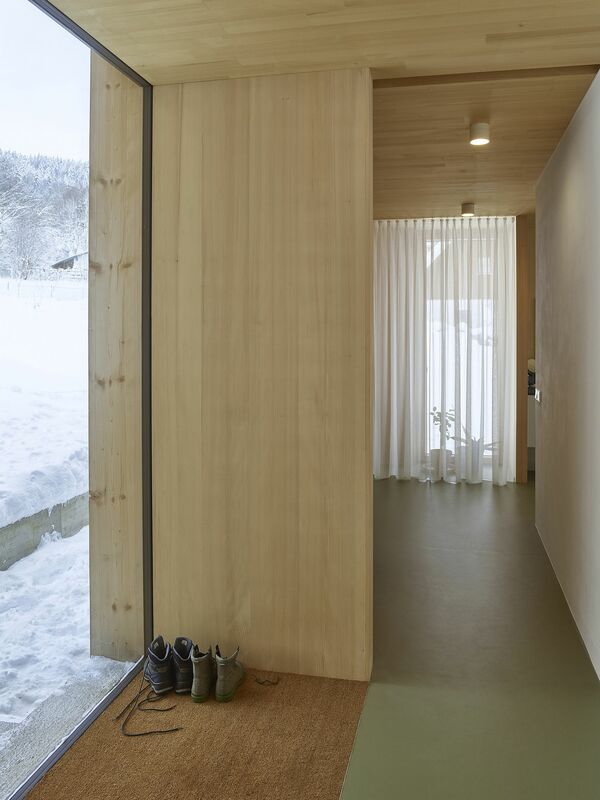 Wood-clad wall and ceiling sections usher in even more warmth while drapes allow those inside to switch between unabated views and complete privacy. 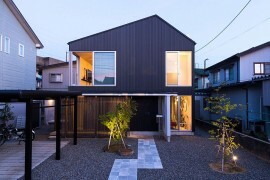 There are no access areas, all are living areas. 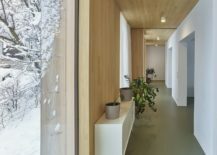 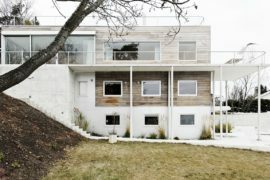 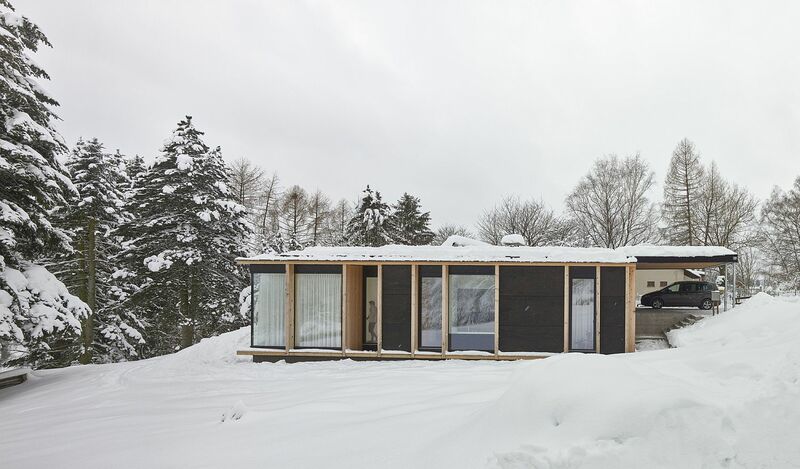 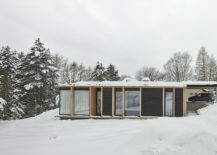 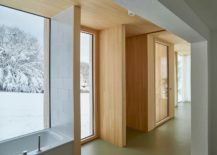 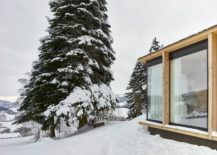 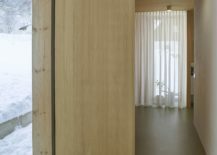 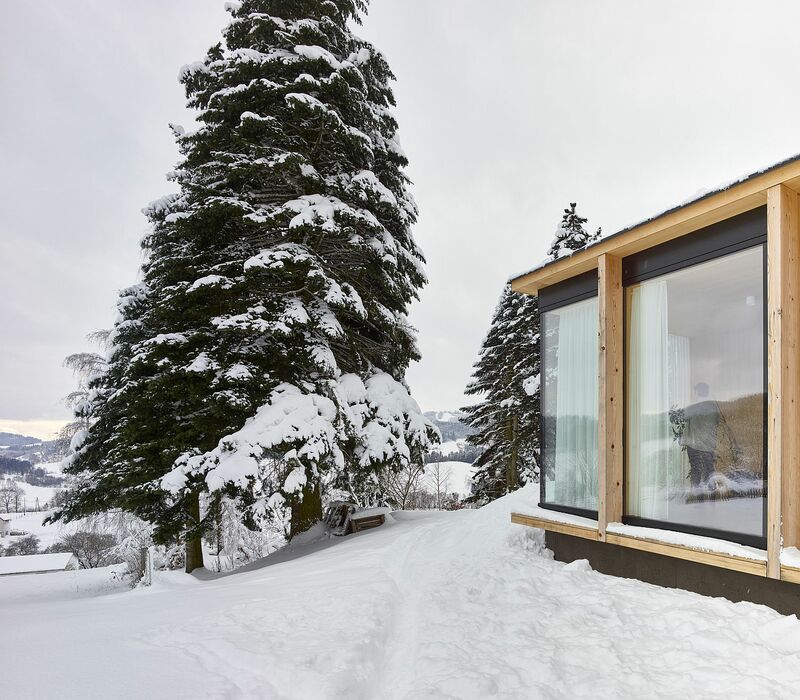 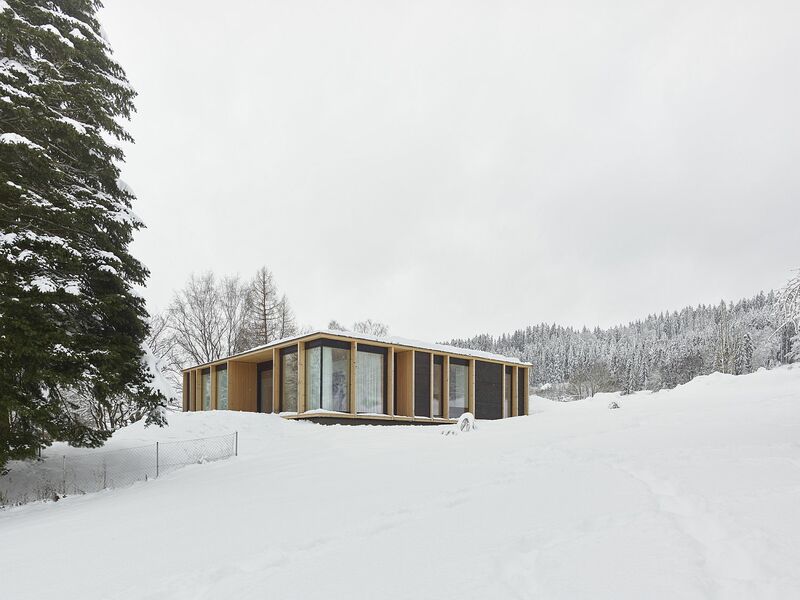 Two architectural layers of time are recognizeable through the solid white walls of the origin as well as through the extension made out of fir wood and glass. 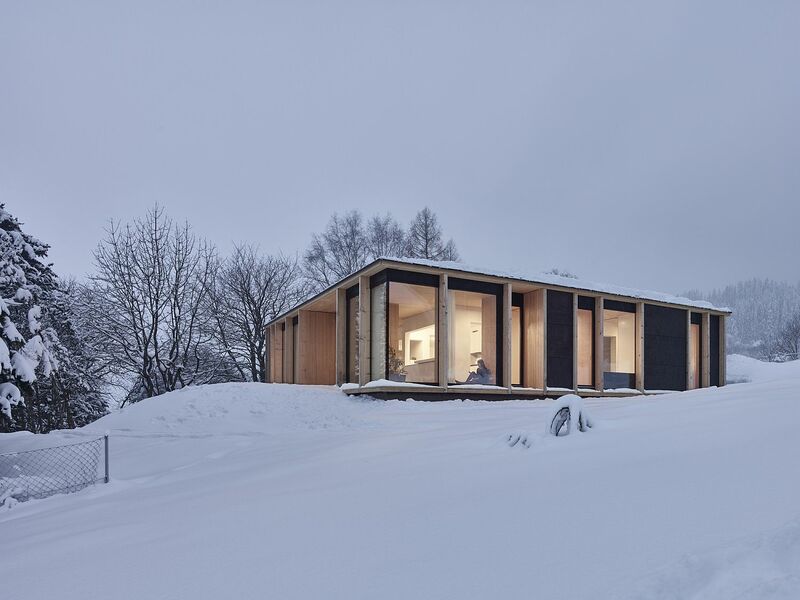 The untreated wooden construction, black windows, and the dark varnished maritime pine are creating a clearly structured facade image and a unpretentious appearance as a pavilion in the landscape.